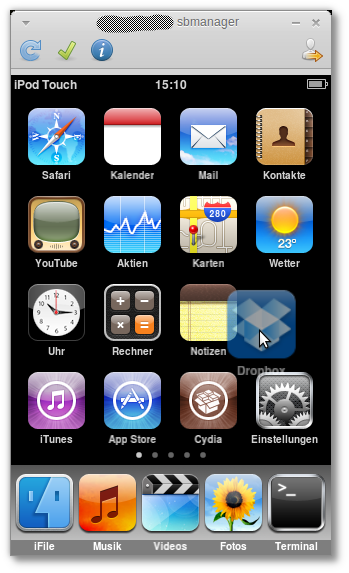 SBmanager is an utility to manage iPhone/iPod Touch SpringBoard icons from your Linux computer.Use SBmanager to arrange icons on the iPhone and iPod Touch device using drag and drop. Um where do I report bugs about this software? Yeah, this app is Bull$hit. I installed it, moved my facebook and messaging apps around (they were both on the dock), and then BAM! All of the sudden, my apps were like scattered over 17 pages. I am dissapoint. This package is too old to use, but I can’t maintain this package on that ppa.